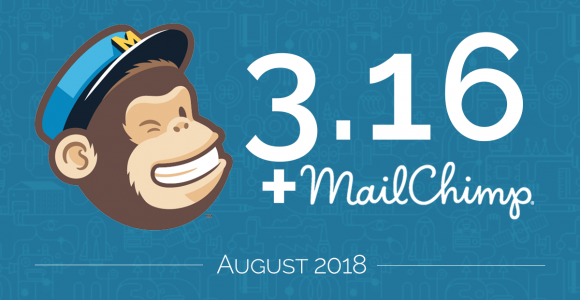 MailChimp is one of the most popular marketing automation platforms around, and ever since WP Fusion first came out we’ve been asked about MailChimp support. Unfortunately MailChimp was a bit different from our other supported CRMs and didn’t have an intuitive way for tagging contacts. This all changed a couple of weeks ago, when MailChimp finally added contact tagging. Now we’re happy to announce that the whole suite of WP Fusion’s features and integrations are available for MailChimp users. Let’s take a look at what’s now possible by combining MailChimp with WP Fusion. MailChimp is very popular, and as such many plugins offer premium add-ons that create a connection to MailChimp. Data is only sent one-way: You can dump data into MailChimp when someone fills out a form or makes a purchase on your website, but nothing happens after that. If someone comes back and updates their profile, it’s not updated in MailChimp. If a contact is updated in MailChimp, nothing is synced to WordPress. A tangled web of plugins: You need to buy and manage multiple plugins, which all connect to MailChimp independently of eachother, and are unaware of what the other plugins are doing. WordPress is left unaware: All of your automations are happening in MailChimp, but WordPress isn’t aware of what’s happening. This means that you can’t use contact segments or position in automations to control the user experience on your website. All of these plugins offer one-way communication with MailChimp, and aren’t aware of the data in other plugins. Data is sent to MailChimp whenever something happens in any WordPress plugin, and data is sent back to WordPress whenever something changes in MailChimp. Let’s look at a practical example of how this can be used. Say you want to offer a free course in LearnDash, but require someone to sign up to your mailing list to gain access. This is easy with WP Fusion. The first step is getting the contact into MailChimp. This can come from an embedded MailChimp form or popup, or from any one of our supported form builder plugins for WordPress. This adds the contact to the list, and tags them with “Free Course Optin”, so we know where the contact originated. The next step is to send a webhook from MailChimp back to WP Fusion. You can then send the new contact an automated email with a link to log in, and use merge tags to include their username and password. Then, using the power of WP Fusion, you can automate your campaign steps based on the actions the user takes on your website. Because WP Fusion can apply tags in MailChimp based on progress in LearnDash, you can customize your workflow based on user behavior. In this example we wait one day and then check if the user has started the course. If they haven’t we can send an email asking if they need additional help. Then after four days we check to see if the user has completed the free course. If they haven’t completed it (based on the tag), we can send an additional email asking why they left. If they did complete the course, we can start them into a campaign for promoting our paid content. This is a very basic example of what you can do using MailChimp with WP Fusion. Because WP Fusion gives you the ability to tag your WordPress users based on hundreds of triggers, you can create highly segmented lists that paint an exact picture of how your users are engaging with your content. You can then use that data in your campaigns and workflows to send highly personalized and timely communications to your members or customers. This goes a long way towards increasing conversions, as well as encouraging existing users to come back and engage with your content.